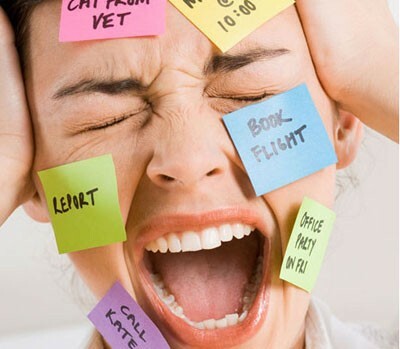 The next time you’re feeling the stress of a looming deadline, the pressure of a never-ending to-do list, or an overwhelming feeling that you’re falling behind on something, load up a plate full of food and eat your way through it. Sweet potatoes are a great stress-reducing snack, in part because they help satisfy your urge to eat carbohydrates and sugary snacks. Contains Folic acid has been proven to enhance your mood, making it a good and healthy snack option to keep on hand for stressed situations. Vitamin C reduces stress and helps return blood pressure and cortisol to normal levels after you’ve dealt with a stressful situation. Vitamin C boosts the immune system and will help build your body back up. This fruit is guaranteed to help stress-proof your body. It contains glutathione, which blocks intestinal absorption of fats that cause oxidative damage. 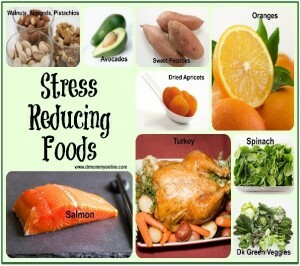 These stress blockers also contain lutein, beta-carotene, vitamin E, and more folate than any other fruit. There’s also a lot of vitamin B packed into an avocado. It contains an amino acid called L-tryptophan, which triggers the release of serotonin, a feel-good brain chemical. L-tryptophan has been proven to have a calming effect on those who eat it. They’re loaded with antioxidants and vitamin C, making these tiny berries the perfect food to repair and protect cell. Blueberries are also high in fiber and are low calorie, so there’s no need to feel guilty if it takes more than a few handfuls before you start feeling better. Carrots, celery, and other crunchy veggies all contain stress-fighting nutrients while remaining low in calories, making it the perfect snack. A regular healthy indulgence of dark chocolate might have the power to regulate your stress levels. It can reduce your stress hormones. Also, the antioxidants in cocoa trigger the walls of your blood vessels to relax, lowering blood pressure and improving circulation, dark chocolate contains unique natural substances that create a sense of euphoria. Flaxseed, pumpkin seeds, and sunflower seeds are all great sources of magnesium (as are leafy greens, yogurt, nuts, and fish). Loading up on the mineral may help regulate emotions. Magnesium has been shown to help alleviate depression, fatigue, and irritability. One ounce of the buttery nut packs 11% of the daily recommended value of zinc, an essential mineral that may help reduce anxiety. The above mention list of foods will not only help you to curb your hunger but also will help you to be at peace by relieving stress and anxiety, which will make your mood better and will give you sprite to go on and on and on……..